First things first - I am getting back to a daily morning bible study with accountability partners. Next I have picked my word for 2014. SERENITY. 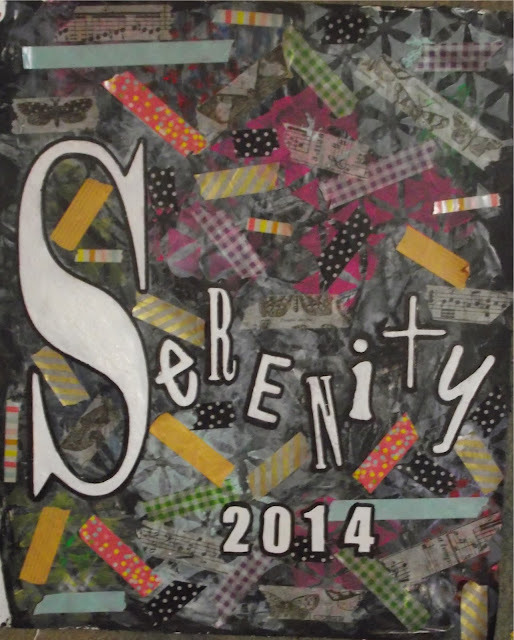 Serenity - the absence of mental stress or anxiety. In order to reach this state it is time to put the past in the past. The debts, the burdens, the clutter. I spent a good deal of time on New Year's Eve clearing clutter from various spots in my house. 7 bags of unopened, partially opened, unread, partially read bills, mail, junk etc. What a difference it made! There is still a LONG way to go but the progress was actually majorly visible. Most of the clutter that I cleared was the burden of the debts - or the evidence of it. I have spent the last 6 months working with a debt consolidation company that did absolutely nothing but have me stop paying all my creditors and pay them. They were not able to negoitate anything and they ended up tanking the last of my credit score. It's time to clear the slate. The next step I take is to learn the Delaware Bankruptcy laws and find out how to get back the money I paid the consolidator and pass it along to the bankruptcy judge. Too many years of living above my means in New Jersey left me with nothing but debt. I am so happy to be living in Delaware in a much more reasonable economy and the plus of NO sales tax. Had I done it a few years sooner I may not be in this position but...I am, there's no changing it so there is only starting fresh. I need to find out what exactly can be done to the used car I bought last May to get it running so I can return the van that was so graciously loaned to me several months ago. I need to get to the neurologist to find out exactly what the EEG told them. I missed the appointment on the 26th when the tire on the van literally exploded. I have not left the house since. I have to continue with my B12 injections and making sure my other iron levels stay where they should be. I probably need to see a rheumatologist and definitely a dermatologist. So, it will be another year of doctoring but at least some things have now been resolved and a treatment plan has begun. First, January starts my term on the Scrapping Everyday Miracles Design Team. The new challenges opened today...the theme this month is Friends. Our scripture is Proverbs 17:17. There is also a layout sketch and a card sketch. You can choose to do any type of paper project incorporating the theme or use either of the sketches, or any combination of the three. 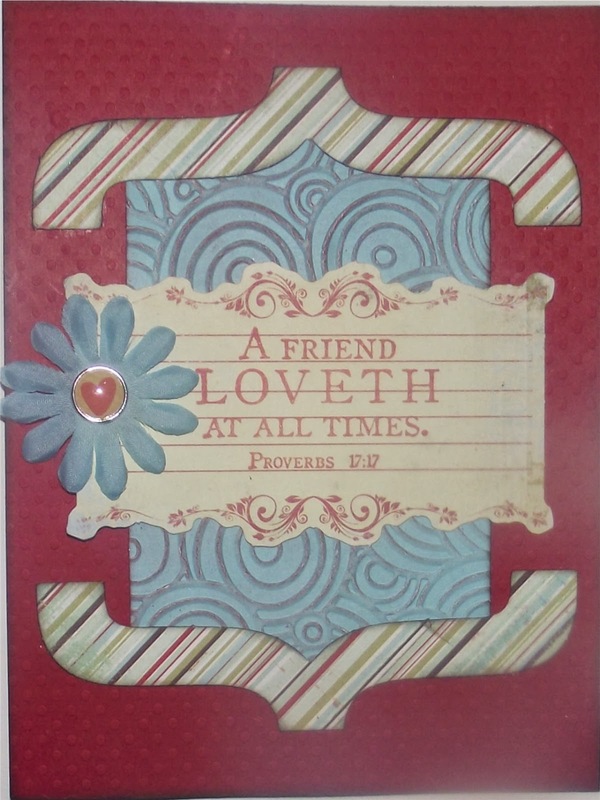 For my first project for the team I chose to combine the theme/scripture with the card sketch. There are 3 great prizes up for grabs so why don't you click here for all the details and enter something! and finally, today I got back into my art journal after several months absence and did a page stating my word for 2014. 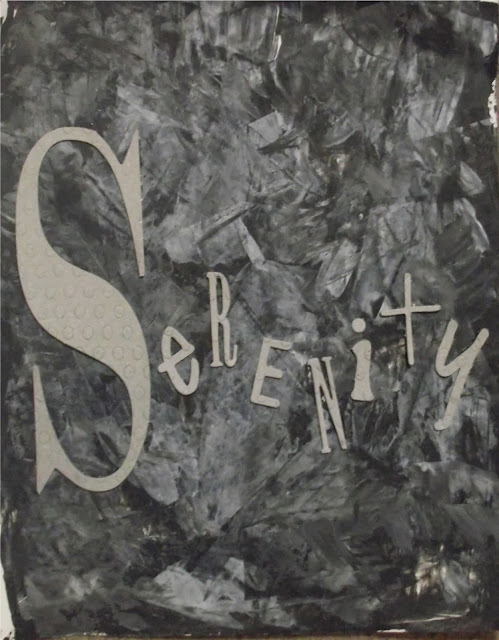 I had created this background using white and black gesso a few weeks ago in the hopes of working in my journal but never got past it. Next I got out some Tim Holtz Grungeboard and added my word. I got involved in the page and forgot to take individual photos of the steps but what happened next is that I got out a Crafters Workshop stencil and several colors of acrylic paints and Gelatos. 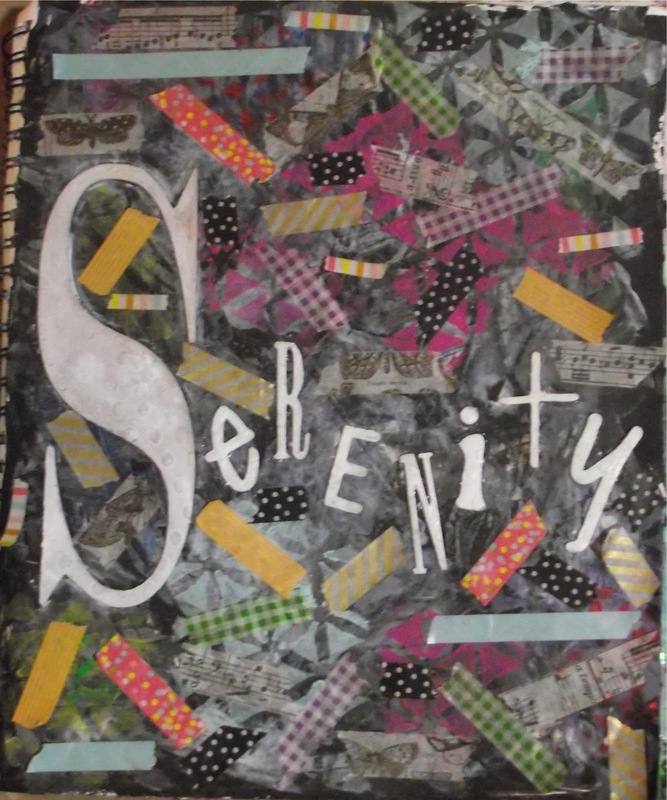 I wasn't getting anything I wanted so I decided some texture might be a plan and grabbed my bag of washi tapes. I started tearing them and randomly placing them all over the page until I was satisfied. I wanted to paint the grungeboard but realized that a coat of gesso would really be a better place to start. 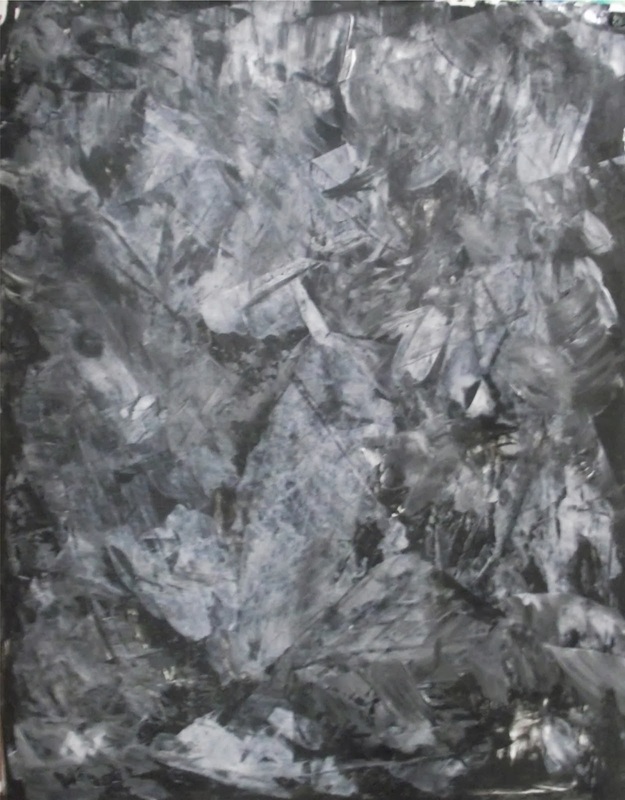 I love gesso. As it turns out, I liked the letters white so I decided to forgo painting them so for my finishing touches I took a black Sharpie pen and outlined the letters so that they would stand out and I added number stickers for the year which I also outlined. I am also entering these in Word Art Wednesday #113 Anything Goes. Another step in getting back on track is getting to bed at a more normal hour. For some strange reason the last few months I suddenly found myself up until 2, 3 or 4am every night. This is NOT a healthy habit so tonite it's off to bed between 11pm and midnite. Hope that you have enjoyed viewing my latest creations and will spend time visiting with me regularly! Happy healthy 2014 to you and your families! ANYTHING GOES WITH THE KRAZY CRAFTING CREW!